Our Lactobacillus acidophilus supplement is made using the highest quality ingredients available, utilising the finest and most effective strain available anywhere in the world. We use the DDS-1* strain of Lactobacillus acidophilus which, according to human trials carried out by the University of Nebraska, is the only known strain of probiotic to survive the entire digestive tract - specifically it has been shown to survive the stomach and make it through to the gut where it is then absorbed into the body. Many other brands use gimmicks like coating the powder in oil or adding other agents to the product to try and help it survive the harsh conditions of the stomach. Our DDS-1 strain of Lactobacillus acidophilus survives naturally without additives. The DDS-1 strain was tested against gut organisms that have been a part of gastrointestinal systems for millennia, and showed that (unlike other probiotic strains) it was allowed not only to survive but to further develop and reproduce in the gut. Dr Khem Shahani discovered the DDS-1 strain while pioneering the field of probiotics at the University of Nebraska during the 1960's. He went on to win countless awards and spent 9 years working at the World Health Organisation. We have developed the most synergistic blend possible, to give you the highest quality of probiotic available. That's why our Acidophilus is blended with a prebiotic (fructooligosaccharide) for optimum absorption. Vitamin C contributes to normal collagen formation for the normal function of gums and teeth. 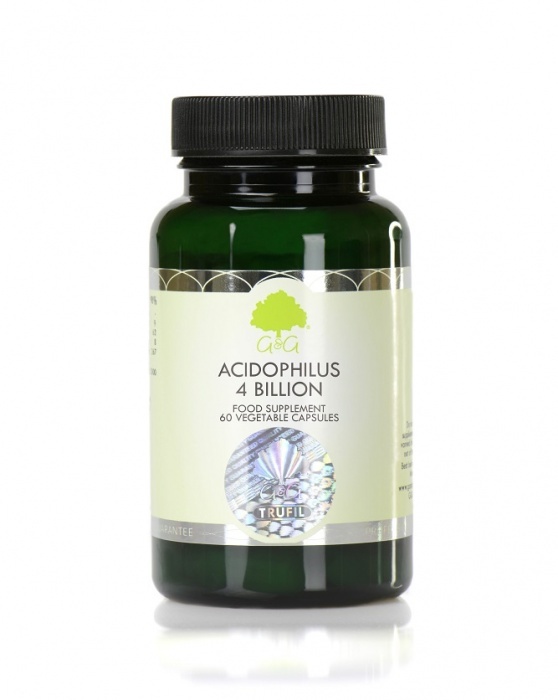 Our acidophilus is specifically developed to be suitable for vegetarians and has been approved by the Vegetarian Society. It has also been approved kosher. This product is encapsulated, but is also available in powder form. *DDS-1 stands for Department of Dairy Sciences Number 1. Take 1 capsule twice daily before a meal or a directed by a healthcare practitioner. Store in a fridge, out of reach and sight of young children.